For the third year in a row, I am training for a marathon. This year, my secret weapon is my new running partner. She was carefully selected from hundreds of available options. She is relatively tall and lean and from a long line of very energetic stock. In fact, you could say that she was bred to run around all day long. She is always ready to go and, no matter what, she encourages me forward, particularly on my longest training runs. Who is this amazing running partner? 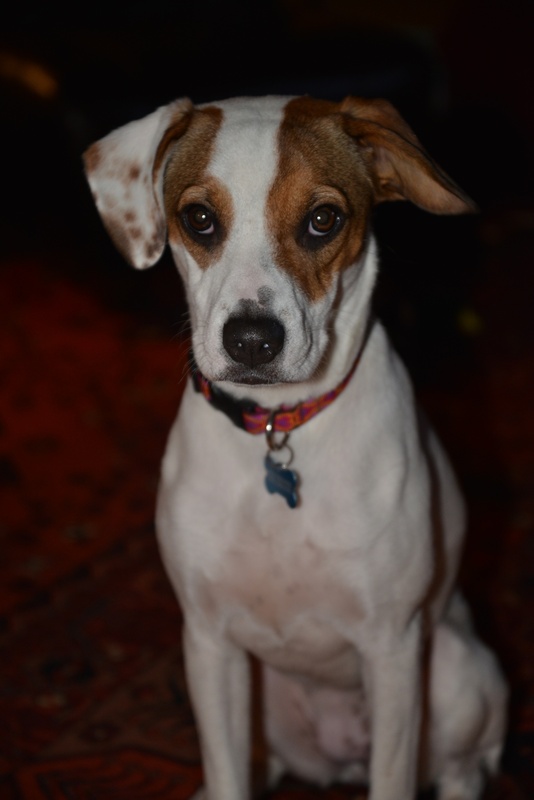 My dog, Cleopatra, a 15-month old Jack Russell-hound mix that my husband and I rescued in October last year. This link takes you to the website of the wonderful organization in New York State that pulled Cleo out of a kill shelter in Alabama, from which we adopted her. When I told my husband and some of my friends about Cleo’s running prowess, each time I was asked things like “Is it good for her?” and “How far can she run?” This prompted me to do some research. According to all of the articles I found, including this one from Outside, this one from Animal Planet, and this one from Runner’s World, Cleo makes it into the top 10 running dogs on both sides of her family. She’s half Jack Russell which is number 10 and half some sort of hound that is most likely a pointer. The pointers are represented in the top 10 by Weimaraner at number 2 and Vizsla at number 8. German pointer is also on the list. This information was very encouraging and also seemed validated in my several training runs with Cleo so far. However, I was reminded by this post at The SparkPeople that it’s important to check with my vet before pushing her too hard. I immediately called to make an appointment and decided to wait until seeing the vet before taking Cleo beyond 10 miles again. I’m very glad I did. 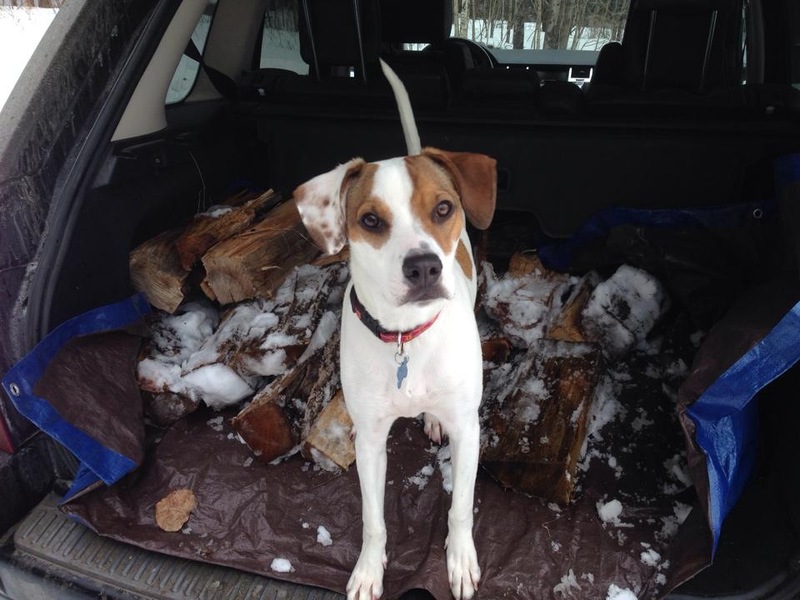 Dr. Heath McNutt, at Riverside Pet Care in Ludlow and Rutland, Vermont, is a wonderful person who is remarkably dedicated to the animals he treats. Based on our experience with him as the vet for our dearly departed and beloved Roxy, I have great trust in his expertise and opinion. 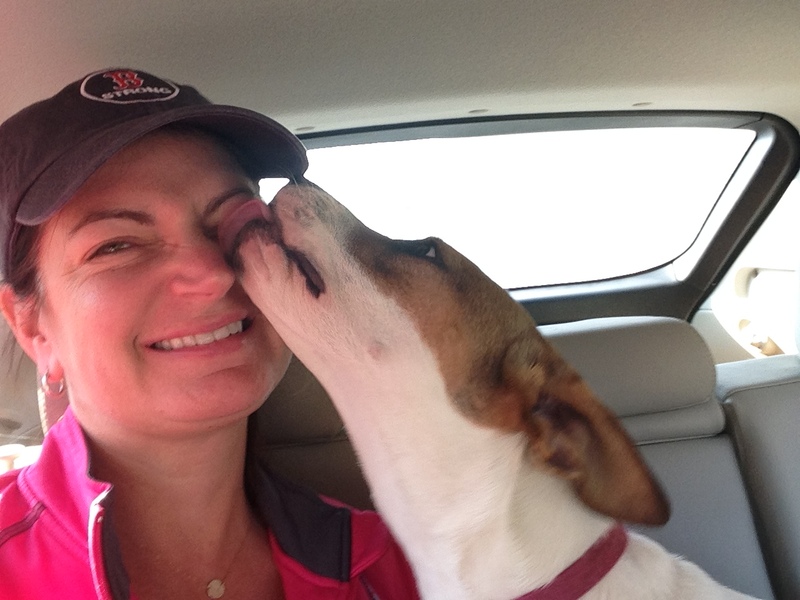 During Cleo’s check-up, I told Dr. McNutt what I learned online about dogs running and that I was hoping Cleo could come along on all of my training runs, even the 20 milers. His response gave me a lot to think about. He then told me that it’s important for me to check-in with Cleo on the faster runs and the longer runs and to stop or significantly slow down if she is excessively panting or has a dry tongue. He further explained that terrain is important. “For example, stay off of asphalt in the summer and watch for sore feet,” he said. This was really great information. I’m so glad that I checked with my vet to make sure that what I had researched made sense in our specific situation. Now, I better understand which parts of my training are appropriate for Cleo and which are not. I have decided to limit Cleo’s pace runs to 6 miles. On the long runs, I’ll be sure to check her feet, panting, and tongue every 3-4 miles. Finally, I’m going to map my longer runs in loops near my house, so that I have a bail-out for Cleo mid-run, just in case. P.S. Since Cleo is so popular, I’m adding some additional photos of her. She is full grown at almost 31 pounds. Thanks for this. I found it really interesting. I have been leaving Leia home when I go on long runs (over 5 miles) but taking her on my shorter trail runs. The trail runs are off leash with plenty of access to water. I feel bad leaving her home but have noticed at times on longer runs, she seems tired so I don’t want to push her. Are we still on for Killington? I’m registered! My fiancé is in love with this dog. I just uploaded some additional photos. She’s very energetic, but at night, she settles down. She’s relatively small at 31 pounds, but is tall and lean for her size. 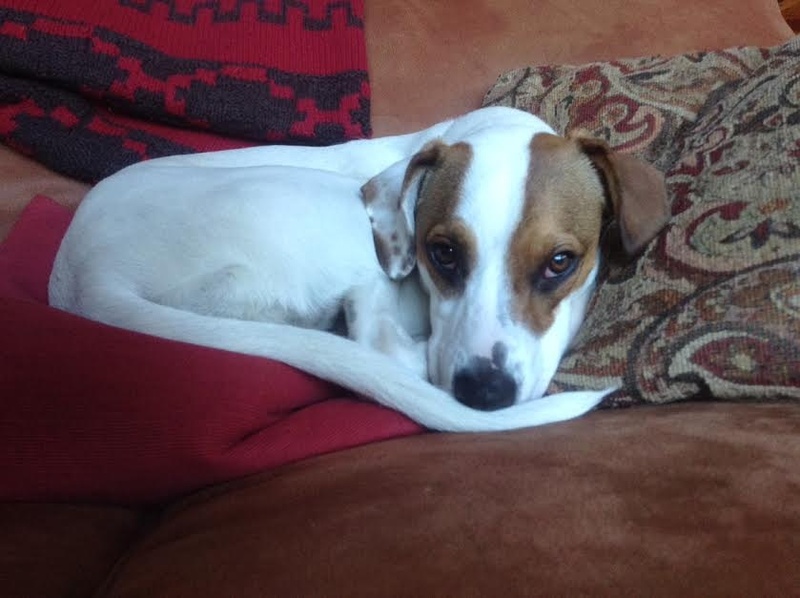 As the article says, she’s a Jack Russell mixed with some type of hound, probably an American Pointer. WE adopted her already! However, if you check out the link in the post, you can see several other dogs that are available. When you’re ready, try http://www.petfinder.com!! Great blog! Cleo is adorable! I’ve trained for 3 marathons with my German Shorthaired Pointer. They are great running partners. One thing no one ever tells you about marathon training with your dog: don’t train your dog to be too much of an endurance animal (if you are not constantly in high miles). I capped my dog at 13 miles because she was getting used to that and she was not happy with 3 mile runs any longer. It’s just something to keep in mind. Have a great training cycle! Thank you so much for your comments and for reading!! How much does your German Shorthaired Pointer weigh? 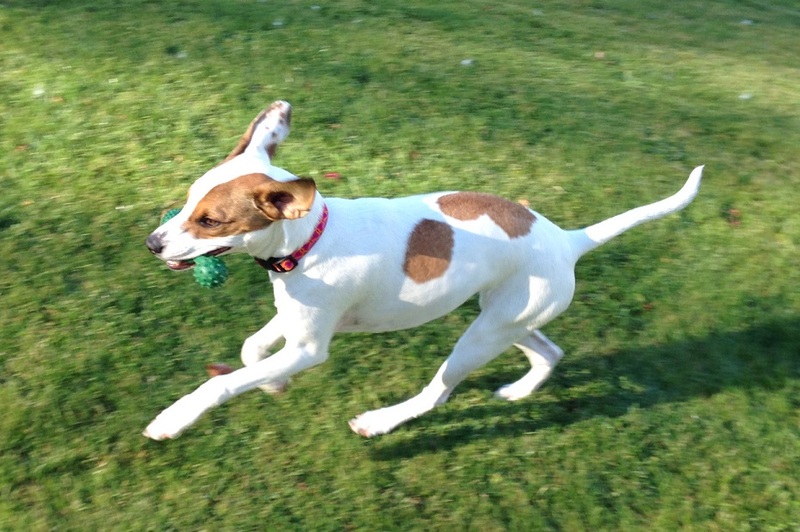 We’re still not sure if Cleo’s other half is a pointer or a fox hound. 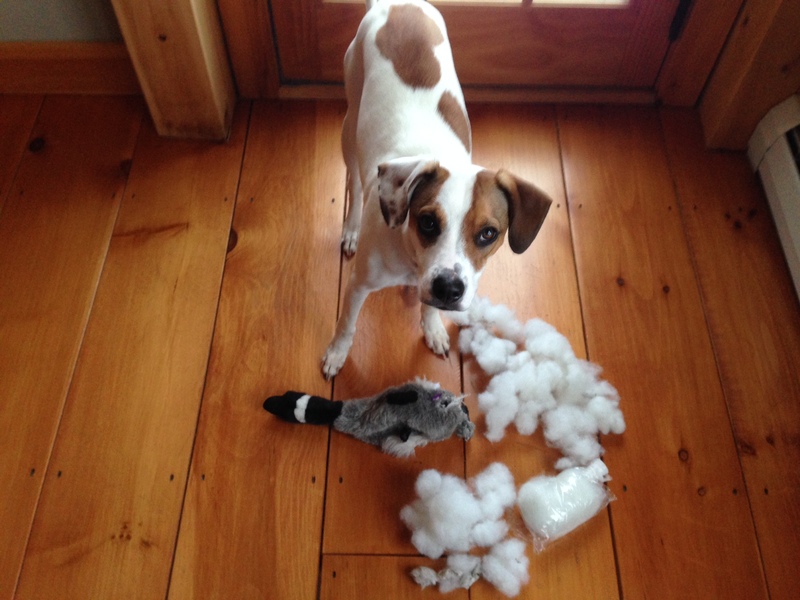 The half we know for sure is a Jack Russell. She howls like a hound, though! Sam is 62 pounds, she is big for a female of her breed though, not overweight, just tall and muscled. Most of the females are 40-55 pounds. I also use a wax called Musher’s Secret for paws. It keeps their paws from cracking when you are putting a lot of miles on them.